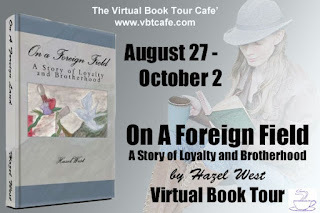 Hazel West, author of On a Foreign Field, shares some useful tips for writers just starting out. 1. Write what you love! This is the first advice I give all new writers. Don’t write something you think other people want to read, write what YOU want to read! As long as you have a passion for something, you will be driven to write it. I never finished a novel until I started writing historical fiction, thus finding what I really loved. 3. Always do your research. It doesn’t matter what genre you write, some amount of research is always needed in order to write a realistic story. It is always easier to write something you know about. If you are a great horseback rider, you will find that very easy to write about, but if you’re trying to write about something you don’t know a lot about like how to make blown glass, then you’re going to need to do your research to make it seem authentic in your writing. My best advice: read the Dummies books! 4. Get a good word processor, especially if you’re planning on publishing or sending your story to an agent/publisher. Trust me on this one. Word is probably the best thing you can do. I hate Word with a passion, but it’s the only thing that really works well so do yourself a favor and get Word if at all possible. It will make formatting a whole lot easier! 5. And lastly, don’t ever stop. No matter what! If you get discouraged, just put your story aside for a while, take a break, maybe start something else, but never stop writing all together. The best medicine for problematic writing is just to keep going. Practice will only make your work better, and by your third story, you’ll be a perfectly amazing writer as long as you were willing to listen to constructive critiques and advice from other writers and you did your research. If you did all that then there is nothing to stop you from being a best-selling author someday! 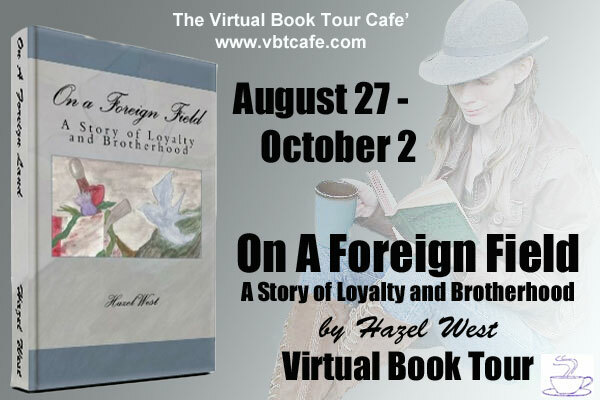 Hazel spent a good bit of her time writing historical fiction about brave men and women who have graced the pages of history, trying to bring more light to their legacies so readers of all ages will enjoy them. Her favorite things to do are writing, obviously, listening to and playing Irish and Scottish folk music, practicing with all eras and types of historical weaponry, drinking GOOD COFFEE, and reading good books. Hazel currently lives in Florida. Christina Aguilera sang that in her song Beautiful. Those lyrics came to mind when I was feeling down and sick last week when I was hit with yet another health issue. Breast cellulitis and MRSA. I found I could escape my life by devouring words in the books on my Kindle. It made what I was going through more bearable. And then without distractions, kept in solitary because of the MRSA, I could write to my heart's content. Words saved me. We take being able to read and write for granted. There are still many in this world who have not had the luxury of being able to go to school to learn to read and write. For them there is no escape from their lives. They can't rely on words to take them away to a different place. How sad is that? When life is giving you lemons, forget about making lemonade. Grab a book and read. Escape.